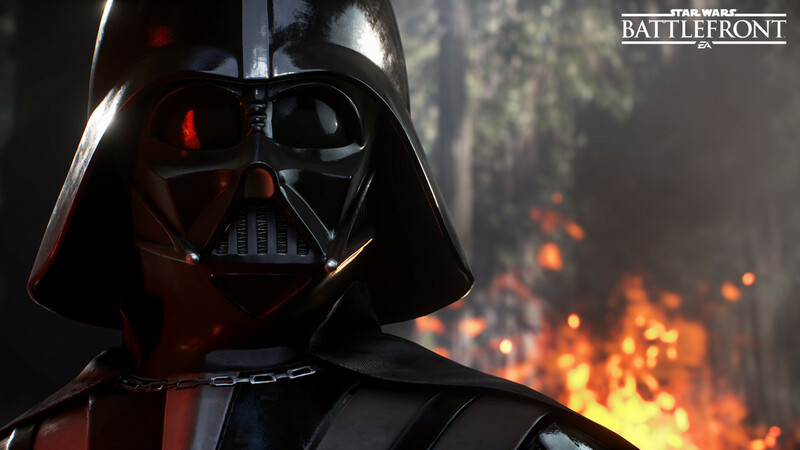 James catches up Patrick Bach, the general manager at Star Wars: Battlefront studio DICE, to glean as much additional information as he can on the upcoming multiplayer shooter. Q: Watching the gameplay footage, I noticed that the music reaches crescendos as the action peaks, and then subsides again as the action troughs. Is that something that will actually occur in-game? Patrick Bach: Yes. We still haven’t worked out exactly how that will work in the final game, but we’ve done some tests on it with previous games and now we’re pushing it further because in Star Wars we have a franchise that is very dependent on the power of the music. Of course we want to use it to enhance the experience. Q: On the music, you’ve been to Skywalker Ranch and used the original John Williams score. Is that the only music you’re using? Bach: Yes, there’s also custom music that has been written for the game, on top of the original John Williams music. Q: And you’ve used the original recordings for all weapons and vehicles and so on? Bach: Yes, we’ve used as much as we can, and we’re also creating new stuff for things we’re creating that they have no sound for. Q: The mode shown today was Walker Assault, a 40-player mode. Do the sizes of matches and modes go up or down from there? Bach: That’s the maximum amount of players that we have in the game, 40 players. We have other game modes that are smaller, and then we have other game modes that are as big as that. Q: Can you talk us through the power-up system and how that will work in-game? Q: Thinking in broader terms, then, can you tell us about Missions, how they work and what their purpose is? Bach: So first and foremost Star Wars: Battlefront is a multiplayer game, that’s our core focus. But on top of that we want to create something for anyone who wants to play offline, or alone. We’ve created these missions that are a varied and quite different experience from multiplayer in some ways, and quite similar in other ways. The idea is that you can play them either completely alone, or you can play them with a friend online, or split-screen. It’s a very couch-friendly way of playing the game. Then there’s the partner system. This ties in really well with split-screen. You can play with someone who is maybe not as good as yourself and actually share some of the resources you have with that player. So it’s a great way of helping someone get into the game. Q: And very early on it was decided that there would be no singleplayer? Bach: The missions are singleplayer, but no, in terms of a narrative-driven experience for one player, that was never the plan. Q: You have no structured class system as such, can you tell us what led to that decision? Bach: We aren’t doing classes in the traditional way. We want it to be up to you to customise and create your class as you play the game, but I can’t go any deeper than that. Q: Obviously there’s an exciting opportunity for Battlefront to collaborate with the upcoming film, The Force Awakens. Today you’ve announced free DLC, the Battle of Jakku. Can you tell us how that came together? Bach: Yeah, I can’t go into specifics, but in general we started building the game without knowing that Jakku existed. We didn’t have the info on what the movie was at the time. Our vision was to make something that was true to what Star Wars was in the original trilogy. That’s the game we started to build. When we heard about what happened on Jakku, and how that actually tied into the timeline that we were in that was just awesome. It’s a great way of tying the game with The Force Awakens. The Battle of Jakku is something that’s referred to in the movie, you see the aftermath 30 years later, but you never get to see the battle itself. 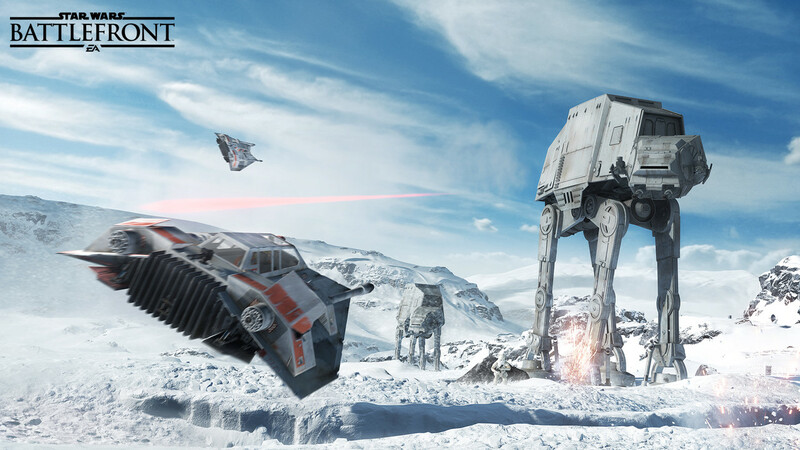 You can play it in Star Wars: Battlefront, it’s the only way you can see it. That turned out to be the perfect tie-in. Q: There are two pieces of technology you’re using that probably require some elaboration: photogrammetry, and physically-based rendering. Can you explain how DICE has used these processes and technologies in Star Wars: Battlefront? Bach: Yes, absolutely. So photogrammetry is a technology or technique where you actually take a huge amount of photos and then you stitch those onto a 3D model. So we used a software pipeline that turns these photos into an object. The great thing about this was that when we visited the Star Wars archives, we were able to use this technique to grab all the content from the original trilogy and put it in the game. So the AT-ST that you see in the game is actually the stop-motion AT-ST that they used in the original trilogy. That technology is something we use to create geometry in general, and we use the colour and texture data from it as well. Physics-based rendering is a technology that used the physical properties of the world in the correct way so that they can be used in-game. If you create an object in the right way – the PBR kind of way – you can put it wherever you want and it will react to the world and the light in a natural way. Used in combination with photogrammetry, you’re able to create the environments that you see in the trailer and in the gameplay assets you’ve seen. Q: Yeah, so we’ve seen Endor gameplay now. You’ve got this incredibly dense foliage immediately surrounding the player, and quite a large draw distance behind that. Is what we’ve seen representative of what you’re hoping to achieve on new-gen consoles, or is that in fact possible? Bach: So the gameplay you saw was PS4. That’s what we have already. Today. It’s pre-alpha PS4 footage. That’s as bad as it can possibly look. Hopefully it’ll look even better when we actually ship the game. We’ve been pushing the boundaries of tech for quite some time at DICE, and you know we want to keep pushing them! We’re super excited to take this next step into PBR and photogrammetry. We did experiments in earlier games, but we never went all-in, and this was the perfect game to go all-in on it. It’s a costly process, and it takes some convincing before everyone really bites into it, but now that we have been doing it for some time, everyone is in agreement that this is the way to move forward. Looking at the material you saw today, I think now we understand that this is the future. 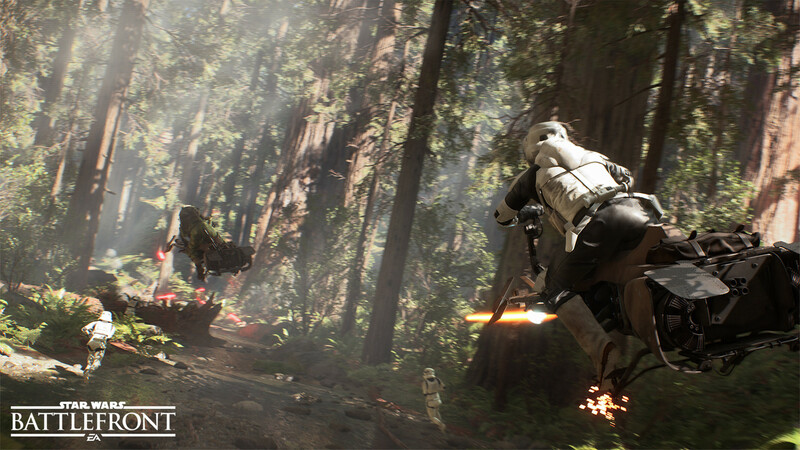 ◆ Read our full preview of Star Wars: Battlefront. ◆ James traveled to Star Wars Celebration courtesy of Electronic Arts.